A fire has broken out on the Caribbean Fantasy ship this morning and over 500 passengers have been evacuated. 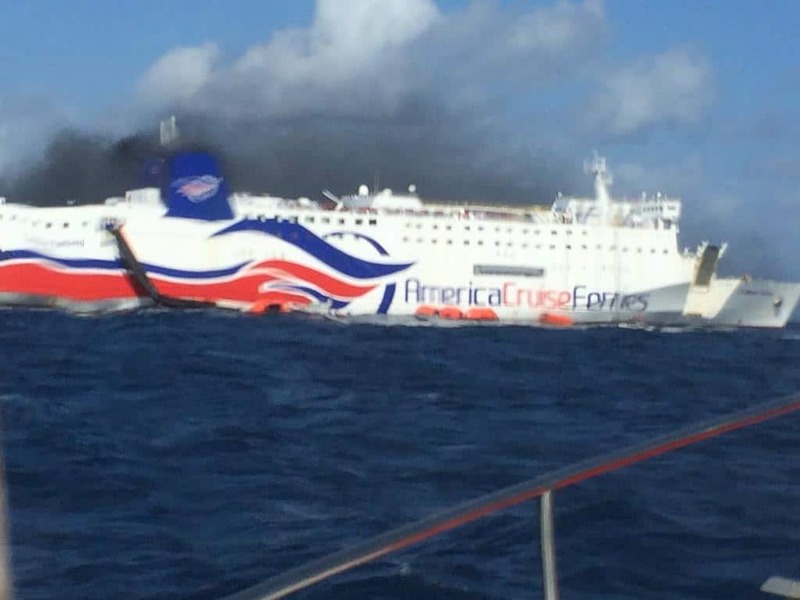 The U.S Coast Guard reports the Caribbean Fantasy vessel which is a passenger and cargo ship has a fire onboard. The fire started in the ship’s engine room and is spreading to other areas onboard. The vessel was approximately 2 nautical miles north of San Juan Harbor in Puerto Rico when the fire first began. The vessel was sailing towards the Dominican Republic at the time. At the time of writing this, the Coast Guard is still in the process of evacuating the last crew members on the 561-foot ship. The Coast Guard was notified at around 7:42 local time that there was a fire onboard. The good news is that there are no major injuries reported. It’s not clear how the fire started but there will no doubt be an investigation. There have been manyvideos posted on social media of passengers being evacuated via life rafts and rescue boats. Some have even been sliding down inflatble shoots. On the morning of today, Wednesday 17 August, in the boat Caribbean Fantasy, in its route of Santo Domingo to San Juan, a situation was detected in the engine room. Immediately we activate the security protocol for the welfare of our passengers. Currently, the passengers and crew of the vessel were already evacuated. As we receive more information. We will keep you posted. The ship ended up running aground 800 yards off Punta Salinas. The operation is still in progress. All Coast Guard assets in the region are being deployed and those evacuated are being taken to Pier 6 in San Juan port.